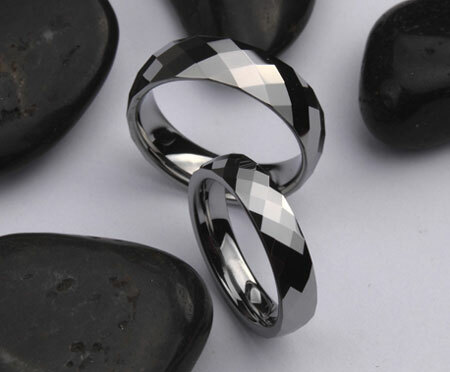 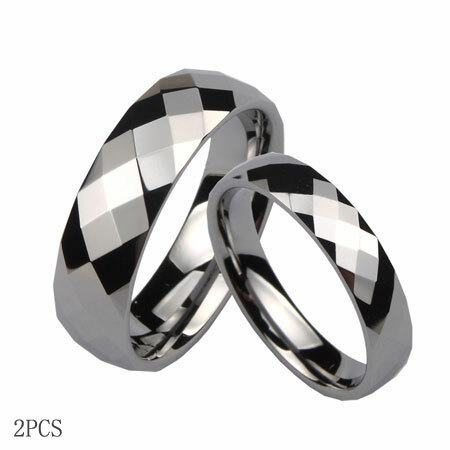 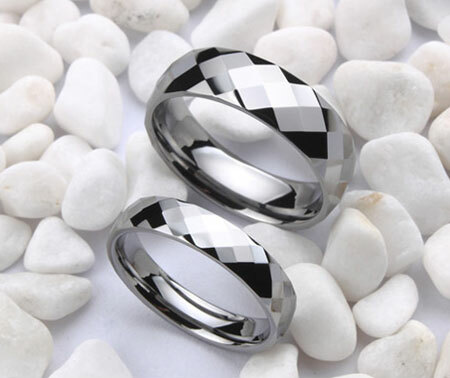 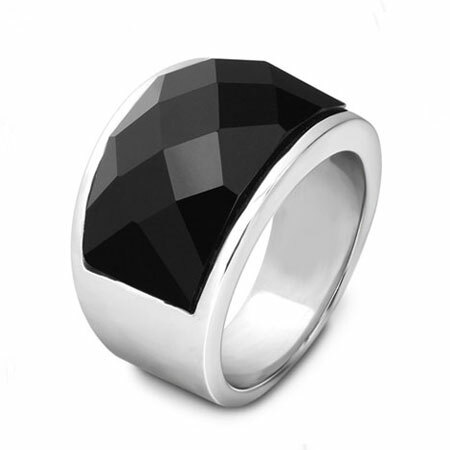 This beautiful faceted tungsten couple wedding pair rings shine like diamonds although there are not any stones on them. 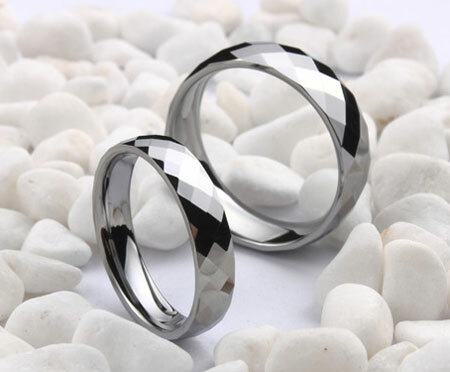 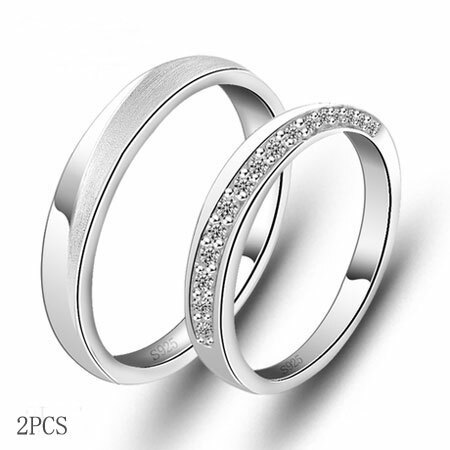 There are multiple facets on each couple rings that reflect lights from different angles and make it look more attractive.Made from high quality tungsten carbide, surely it will make the new couples become the focus on the wedding day. 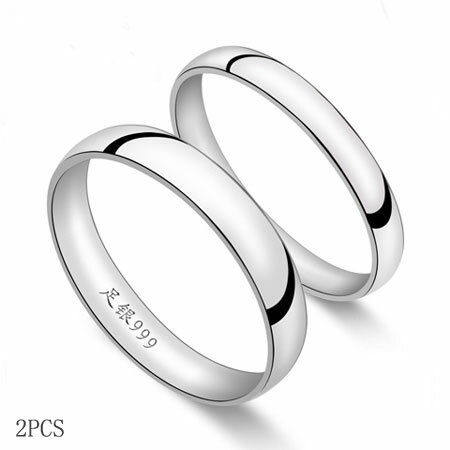 A pair of 2pcs are included in the price. 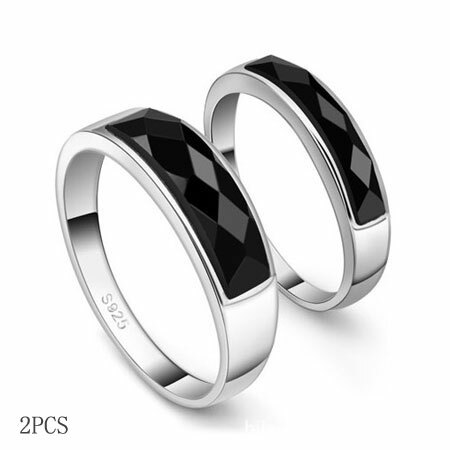 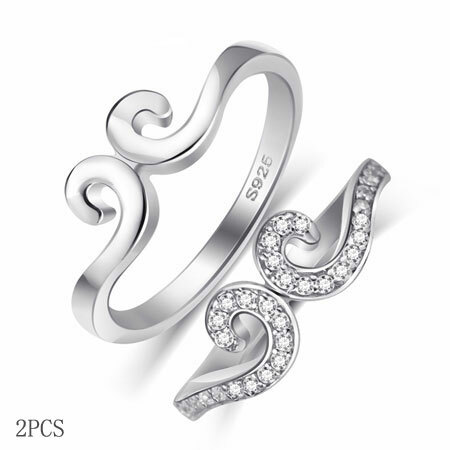 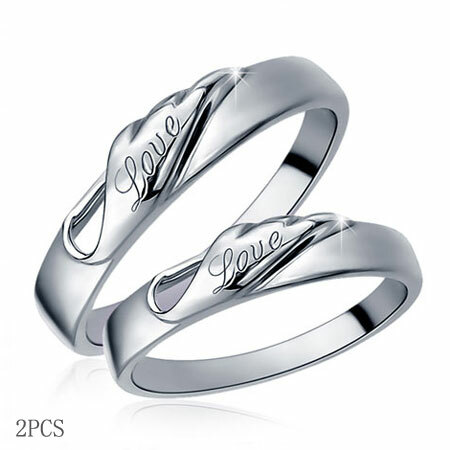 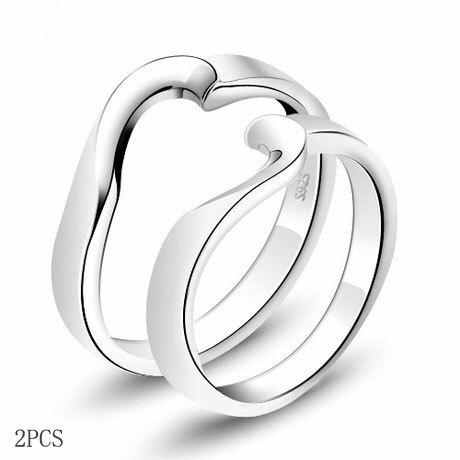 This will also be a pefect choice, if you want a pair of matching couple rings. 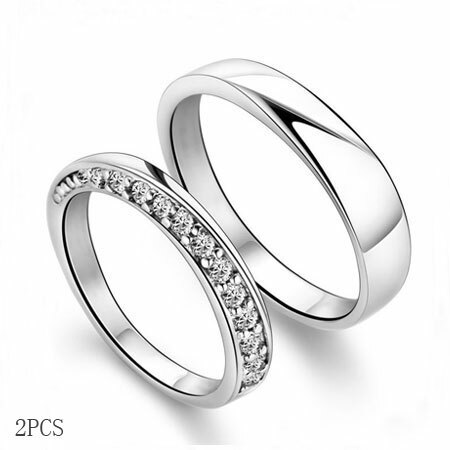 You might also be interested in Yellow Gold Tungsten Carbide Wedding Bands for Men and Women.